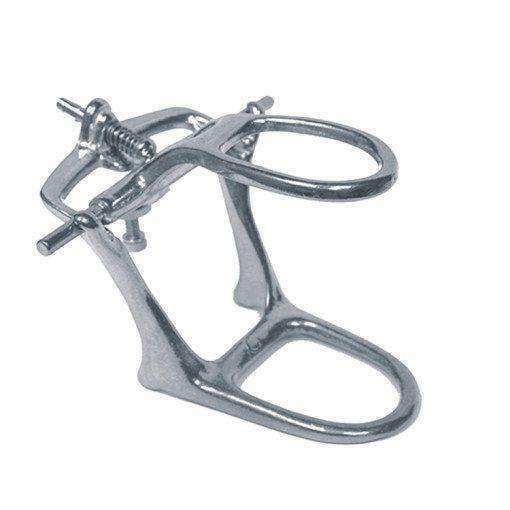 Articulators - Lab Depot ltd. The Deluxe Magnetic Articular comes with magnetic split casting to ensure easy removal and exact settings of models. This articulator is excellent for checking cases. It’s completely interchangeable, lightweight and Teflon coated. 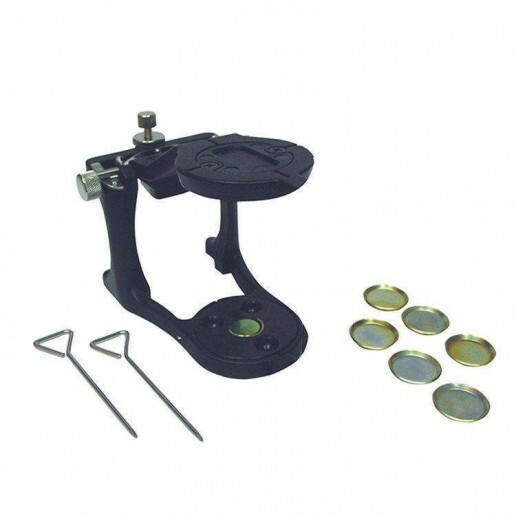 Also available are Magnet F/Deluxe in 4/Pkg and Curved Disc Deluxe Magnet Articulator. The Galetti Articulator is solidly constructed of metal alloy casting. The high quality articular provides easy, speedy and firm grasps of models of any size. This item has perfect occlusal-articulator balance to prevent cuspidal interferences and maintains a balanced prosthetic appliance. 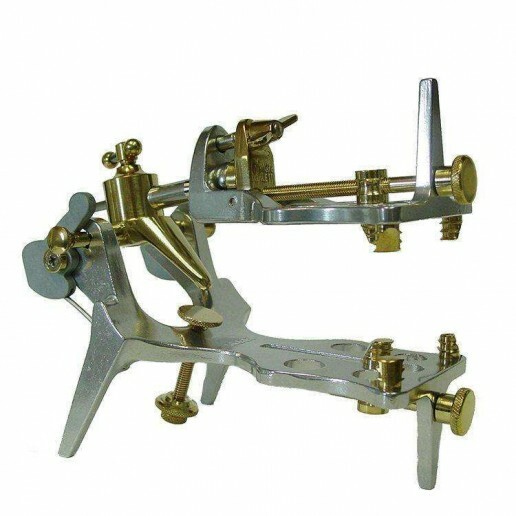 This articulator allows for easy separation of upper and lower components to form two different stable working bases. The ball bearing joint allows for free motion of the upper appliance to check the occlusal-articulator balance. The hinge axis with bilateral motion gives the capability for anterior, posterior and lateral movements to show working and balancing movements. No plaster work or accessories are required, and they are easy to clean. 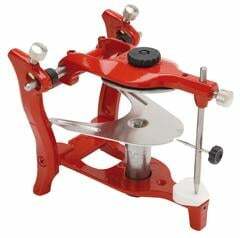 The K-Chrome Articulator was machined to produce maximum accuracy for this type of articulator. It makes for easy access to all surfaces, easy to adjust, and can be taken apart and assembled quickly. The K-Brass Denture Articulator has the same features as the K-Chrome Denture Articulator but is made of softer and longer-lasting brass. The simple articulator is machined to produce maximum accuracy. The articulator gives easy access to all surfaces, easy to adjust and can be taken apart and assembled quickly. ASA Articulator is a Lightweight anatomic articulator made of aluminium die-casting. It can be used following the geometrical laws of medium values (Bonwill triangle). Fixing according to centric Automatic return to the hinge axis with springs. Perfect stability also in reversed position. Easy access and visibility to the lingual surfaces. Interchangeable self centring aluminium mounting plates (code 5000-1) or magnetic plates (code 5000-1M). Pure translation movement (key and instructions included). Anti-shock hinge rod in case articulator falls accidentally. Bigger size lock screws for mounting plates. Distance between mounting plates 85 mm.